With quality as our guide and professional obligation as our motivation, we believe that our home care service is an integral part of the over-all health management of the community. Caring for our patients in their homes is our history. We plan to continue the legacy of customer satisfaction through the best clinical practices in the industry. 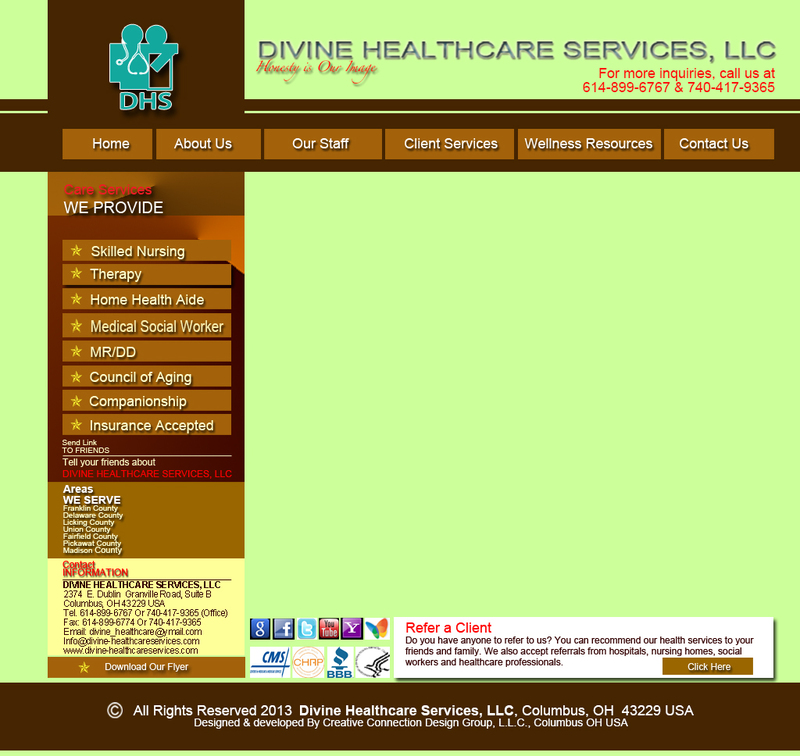 Divine Healthcare Services focuses on holistic approach to home health care. This encompasses a system of comprehensive or total patient care that considers the physical, emotional, social, economic, and spiritual needs of the person; his or her response to illness; and the effect of the illness on the ability to meet self-care needs. Holistic nursing is the modern nursing practice that expresses this philosophy of care, also called comprehensive care.